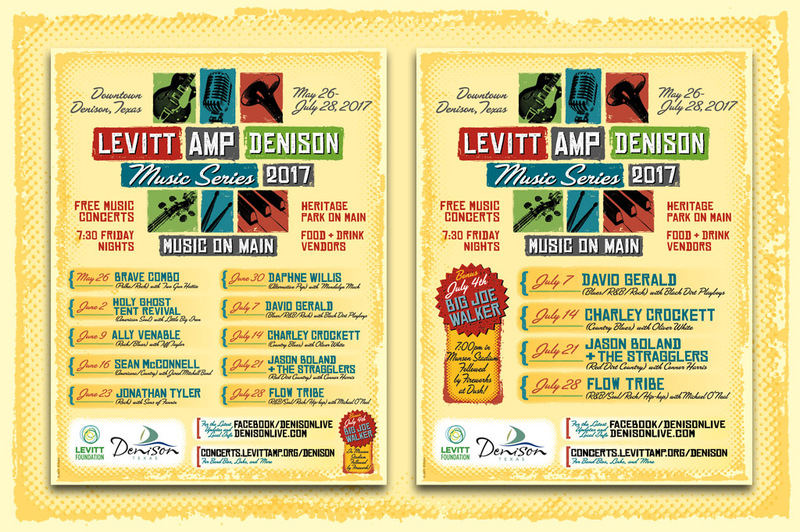 The 2017 Levitt Amp Denison Music Series – Music on Main – made use of advertising in newspapers and music magazines such as Dallas’ Buddy Magazine. 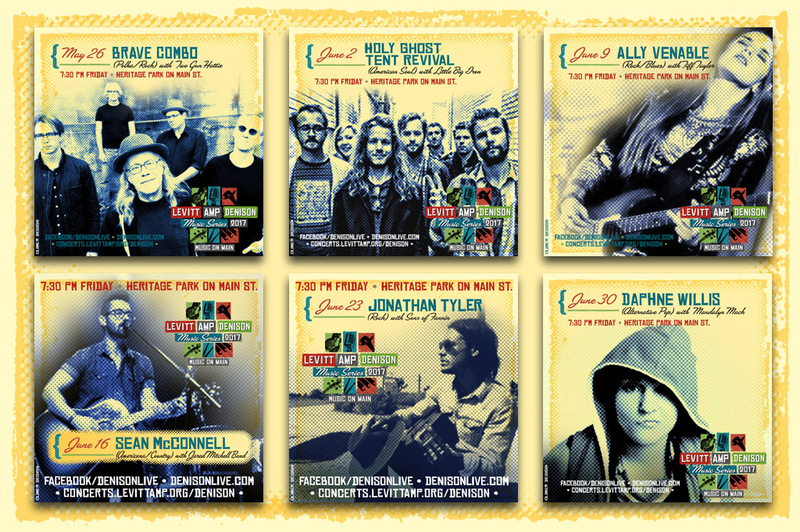 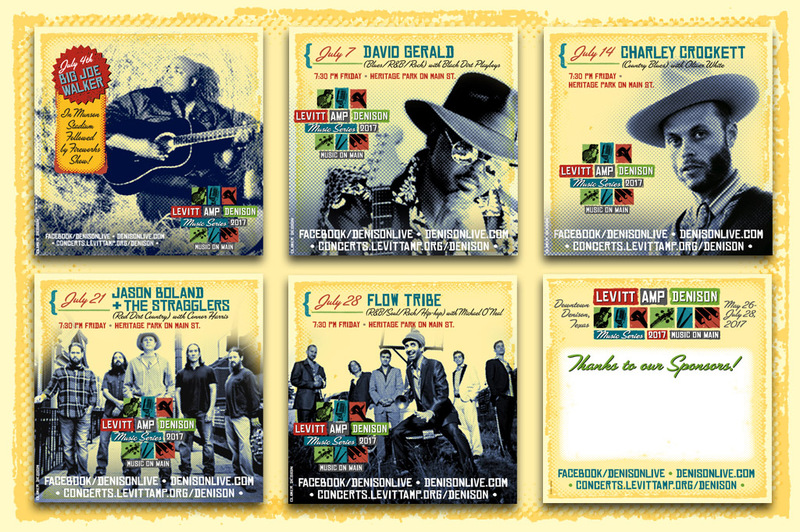 As an added bonus, I also created web/social media post graphics for each individual concert artist. 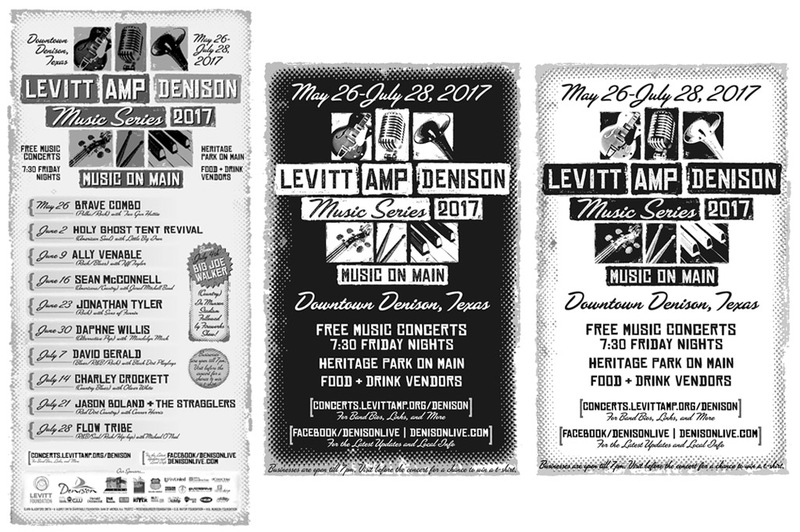 Ads were done in the same letterpress style as the posters and flyers for the series.